If you are reading this, you are, for sure, the BBQ lover, who couldn't imagine his or her life without this great pastime. If you spend a lot of time outdoors with your family and friends, why don’t you arrange your barbeque patio or backyard ideally and, importantly, safely? 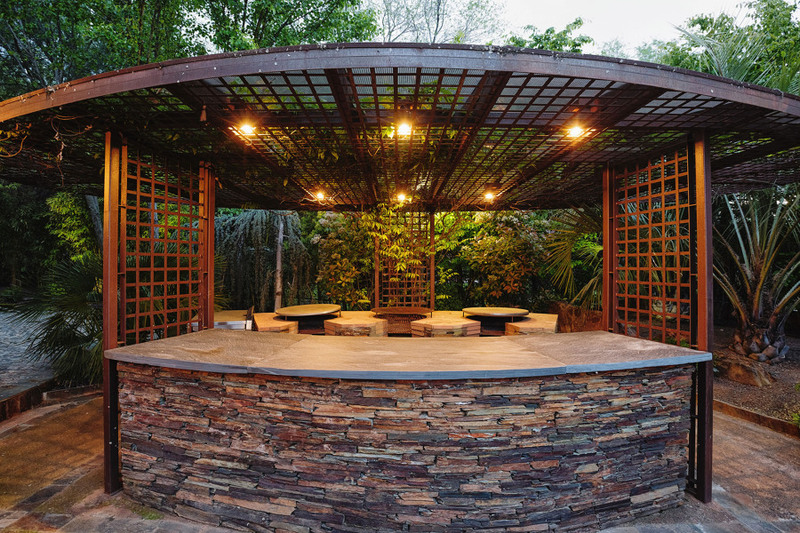 It is for this reason, we have got some good ideas for you, how to create your unique Grilling/Barbequing Space, your private paradise! First and foremost, specially arranged BBQ place or outdoor kitchen is much more safety, comfortable and cool. This will allow you to keep your house clean, to avoid heating and unpleasant odour, grease and soot, rather than to cook such dishes indoor. The second reason, and, for someone, may be the most important one, outdoor kitchen or BBQ patio is the place, where you can bring all your friends out to have a fun, to have an excellent entertaining & cooking, to hang out by the BBQ or grill, to prepare healthy and delicious food together! Let’s go to the technical side of the task. If you construct your outdoor BBQ or kitchen by yourself, do not forget about some life hacks, which will help you to ensure your safety in the future. Have a fun and safety BBQ!